Some gratuitous advice for dealers, collectors and people of the book -some of it untested and some possibly erroneous. 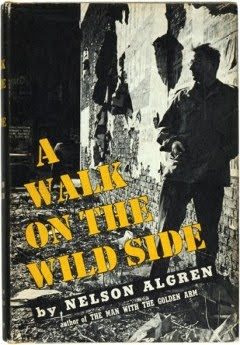 Inspired by Nelson Algren's three bits of advice in his 1956 novel A Walk on the Wild Side -"Never play cards with a man called Doc. Never eat at a place called Mom's. Never sleep with a woman whose troubles are worse than your own." The woman in question may well have been Simone de Beauvoir with whom Algren was in a triangulated relationship, the third person being Jean Paul Sartre. Whether she had more problems than Algren is a moot point. By all accounts Sartre and Algren got on well... Anyway here goes with some bookish advice, caveats and absolute no-nos. 2. Don't judge a book by its cover. If you find something worthwhile look under the jacket (if it has one) and check contents for underlinings, non authorial annotations, torn or missing pages, stamps, remants of attempts to disguise their ex library status and simple things like missing rear endpapers. Also look for good things like an unnoticed association, loosely inserted letters, ephemera and $100 bills. Do not, as one of our customers used to do, start shaking books to see what falls out -he was after bus tickets. 3. Don't buy from dealers who threaten legal action in their catalogue descriptions. Can say no more. A nod is as good as a wink to a blind horse. 4. Distrust dealers who describe books as 'extra fine.' 'Super fine' is equally problematic. In my opinion fine is as good as it gets, if you want to go one better 'as new' is acceptable. Books in new bookshops are fine, or 'as new' -it can't get any better; 'mint' is also suspect being associated with coins, sometimes comics. 5. Avoid exaggerated or ingratiating descriptions. Anyone who describes Churchill's World War Two as 'very rare' is seriously ignorant or misguided. We also know that WSC was 'a very great man.' Likewise any book where 20 dealers have fine copies is not rare. They may be expensive, in which case they fall into the category 'common rare book.' Anyone buying an ex pensive edition of Ulysses doesn't want to hear that it is "...perhaps the Greatest Novel written in the Twentieth Century and certainly one of the Rarest volumes sought by collectors. Ulysses is a work of towering genius and of inestimable importance." Resist such blandishments. 6. Take a walk on the wild side. In a new town if you are seeking books don't assume they are all in the main square or even in bookshops. Antique shops and junk shops have to be checked out. Avoid those with grubby old books with notices like 'appraised at $200.' Most appraisers are ignorant slimeballs. 7.Avoid dealers who describe a book as 'good for its age.' It almost always indicates a lousy copy. Condition standards do not change because a book is 50 years old. Even 100 year old books can turn up in fine condition. To be continued. Suggestions welcome. Sounds a bit crude but I'd also have a good sniff - I bought a nice Henry Green in wrapper once for 50p but alas I ended up giving it back to the charity shop. And take note of the words "Reading Copy only' - it's an honest dealer's way of saying you can read this one while eating a bag of chips i and leave it on the bus after! Might I also add another two - to try and buy books from people who don't know much about them, or at least know less than you assume you know yourself. It strikes me that "Good for its age" could be a reasonable description were it not used by so many sellers who seem to be astonished that a pre-WW2 book should survive at all. (e.g. "Good for age - 1935!!!!"). "Otherwise very good" is a bugbear of mine - e.g. 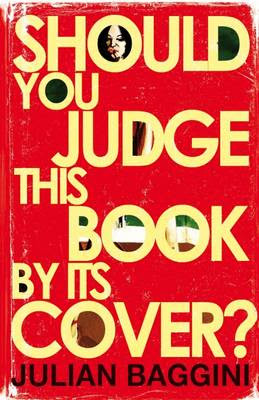 "Front cover missing, endpapers somewhat chewed, bubblegum residue to textblock, pages toned, rear pastedown dampstained, spine sunned, OTHERWISE VERY GOOD". Don't entirely agree about Reader's Union - some of the late 40s/50s editions are rather pleasing under their unprepossessing jackets, eg Denton Welch's Maiden Voyage, which is nicely bound in decorated cloth and nicely printed and illustrated. Not worth paying silly money for, obviously, but pleasant to handle - and read. You are right Mike RU did some decent books readable and good looking and the Denton W stands out. I suppose I was writing from the point of view of a hard bitten dealer with rent to pay, not to mention lawyers, dentists and parking wardens! The Readers Union edition of Isherwood's "Good-bye to Berlin" is also kinda nice with its photo cover, even if it isn't the Humphrey Spender photo on the first edition, beyond my meager budgetary parameters.